Product prices and availability are accurate as of 2019-04-17 07:54:53 UTC and are subject to change. Any price and availability information displayed on http://www.amazon.com/ at the time of purchase will apply to the purchase of this product. 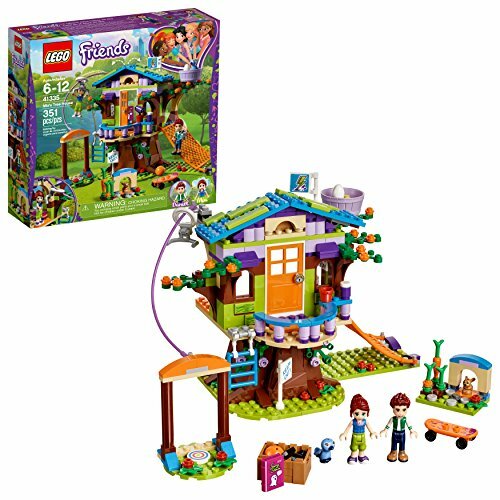 Both girls and boys will love building LEGO Friends Mia's Tree House set where they can experience roleplay fun and creative adventures inside a detailed tree house toy. Includes a zip wire, attic with opening roof, and a climbing net. 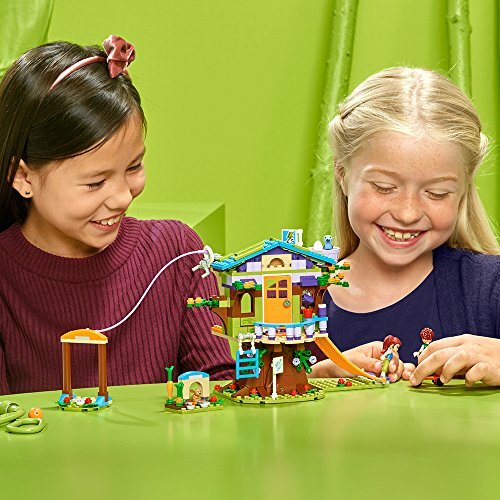 Includes 351 pieces to build a creative tree house building playset. 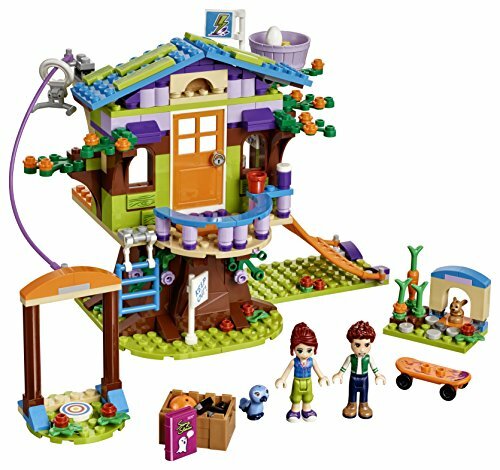 Mia's Tree House features Mia and Daniel mini-doll figures, plus Mimi the bunny and Cinnamon the bird pet figures. This is the perfect Christmas or birthday gift for kids! 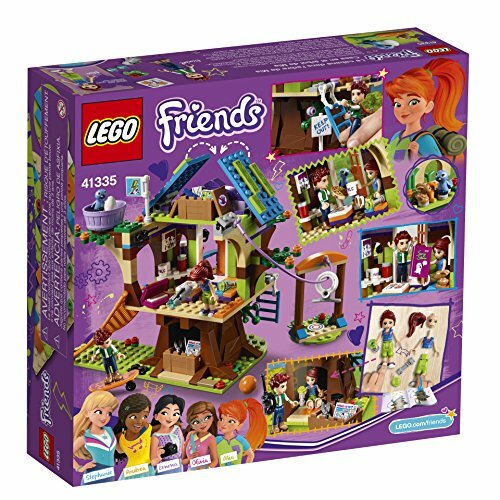 Features a folding ladder, a cool skateboard for the mini-dolls to ride and wild animal figures to inspire creative building play and fun adventures! 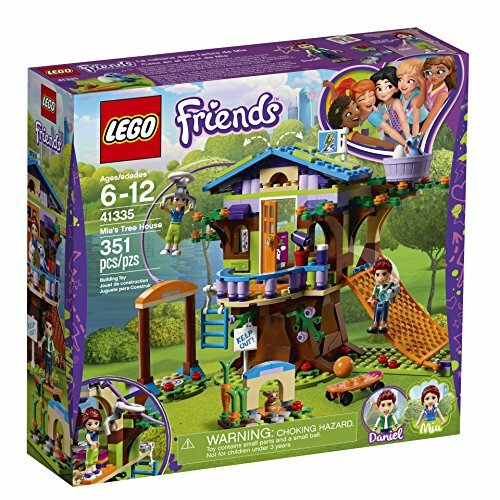 Girls and boys will enjoy the creative and unique building experience with this building playset which is compatible with all LEGO building bricks for endless fun! 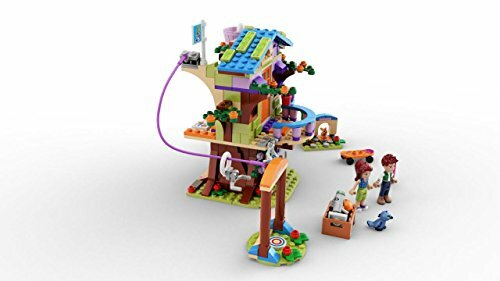 Tree house playset measures over 6" (16cm) high, 6" (17cm) wide and 6" (16cm) deep Bunny house measures over 1" (3cm) high, 1" (4cm) wide and 1" (3cm) deep 351 pieces - Creative building set for boys and girls between the ages of 6 and 12 years.